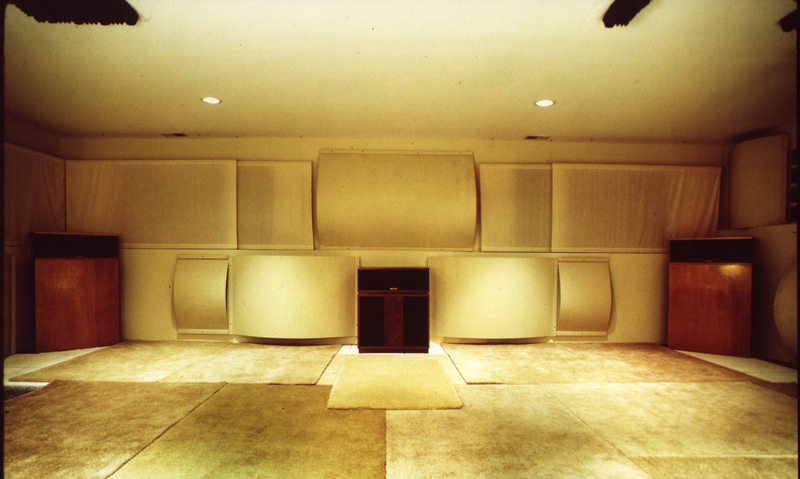 Dedicated purpose built acoustically tuned room approximately 550 sq.ft / 4400 cu. ft. Additional soundproofing with multiple layers of 5/8” OSB & Green Glue in progress. Main Amplifier: NAD C390DD using HDMI input. So, are you moving from a 2-channel "stereo" to multi-channel? Is this going to be primarily for music or home theater? I have to ask, how many of you have any experience recording live music and/or natural sounds? And how often have you done this? How many of you have recorded the same source, in analog and digital simultaneously? How many of you have recorded live music, and played it back in the same room, and fooled everyone upon playback? (in other words it was the recording playing, not the live performer) You know, in live verses recorded demonstrations, the recorded sound is what the majority of listeners consistently identify as the one they think is "live". It's been that way for decades. AXPONA is held just a few miles from me. I'm sure someone there will have a BluOS equipped M32 for me to report back on. By then the 60 day free Tidal trial will have expired and the BluOS returned to Crutchfield. I definitely won't upgrade if this is a problem on the M32 too. But I can tell you this. Several recordings that I'm extremely familiar with, when streamed from Tidal directly into the C390DD/BluOS, definitely have better resolution/definition than playing the same (ripped from CD) from the laptop/JRiver via USB or HDMI to the C390. And these were CD quality streams, not 96/24, 192/24 or MQA encoding. OTOH there were a number of 96/24 and 192/24 MQA titles that needed some adjustment in the bass department. So, as usual, the recording engineer is king. And what (equipment) he's listening to, and the room he's listening in, as well as personal preference is still influencing the final result. I'm using a C390DD with a recently installed BluOS. The BluOS module (nor it's app) appear to not be functioning properly. NAD says it is. But no bass treble or balance controls like all the other sources. I'm not upgrading to a M32 without knowing if the same will happen. No dealers around the Chicago area have M32 available for comparison. Oh Really? Clearly you have no idea where the analog on the vinyl came from. RF 7 III, Will they blow me away? Anyone have this particular combination up and running? Very true. One of the most gross examples I've seen is a remastered Iggy Pop album. It's not just the "industry". It's sometimes the artist themselves. On the Iggy Pop recording, Iggy made the remaster so "L O U D" sounding the LP sounds much better, aesthetically speaking (IMO). But his objective was to use current technology to fight, be competitive in the loudness wars when played back over-the-air. "Passionate"? That may be a little strong. Fascinated is more like it. As I said, I'm sort of "in the business". Not just an audiophile. To me the sound reproduction starts with the recording engineer (me) and ends not with the equipment used for playback, but the room that contains the playback equipment, including the air between me & the speakers. MQA starts with that same premise. What is the loss of musical information between the instrument and microphone? Please read the documentation and patent application. If you're as incompetent as I am, it will probably take quite a few re-reads to start wrapping your head around it. What I heard from McGrath's recordings at AXPONA fascinated me because I heard, and measured, some things that probably should not be. I don't want to get into that now because I don't want to influence anyone's response, nor start making this discussion overly complicated. I'll "spill the beans" at some point in the future.